We are strong believers that the biggest risk in advertising is not taking any risks. Playing the safe card with marketing does what it says on the tin – nothing out of the ordinary. It’s not exciting, courageous, and it certainly won’t blow anyone’s mind. And that’s fine, if you don’t expect much to change. Risking vulnerability in exchange for people’s attention is scary and doesn’t always pay off. Brand images have previously been ruined due to advertising that hasn’t been thought through properly. On the other hand, going for a boring, same-old approach will not pay off. Creative risk is scary but can be of huge benefit to a business when executed tastefully. People are easily bored by advertising, or worse: they don’t even notice it. Playing it safe is risky because you’re probably going to lose out on a lot of interaction with your target audience. Due to the sheer over-population of ads in current society, people aren’t going to remember the boring ones. However, we aren’t naïve about changes in business. It’s completely understandable that organisations can’t click their fingers and make room for big change – no matter how necessary it is. There are hundreds of reasons why organisations can struggle to make changes that need to happen. Sometimes there is simply too much at stake to completely change their marketing direction. The average Londoner sees around 130 ads every 45 minutes of travelling. A bland, unrecognisable ad is not going to distract them from their busy day. An exciting advert that stimulates brain cells will get somebody thinking. Here are some examples of when brands have pushed the boundaries and it’s paid off. Old Spice was a 75-year-old brand which was relatively outdated. People were associating it with old men, which the brand wanted to change. After some extensive market research, Old Spice found a gap in their market, and a crucial insight to their campaign. Women were buying their husbands, partners or sons body wash. This enabled them to create a men’s body wash campaign targeted at women. The result was the ‘Smell Like a Man’ integrated campaign. After its release, they watched their profits soar and they moved to the number one men’s body wash in the UK. 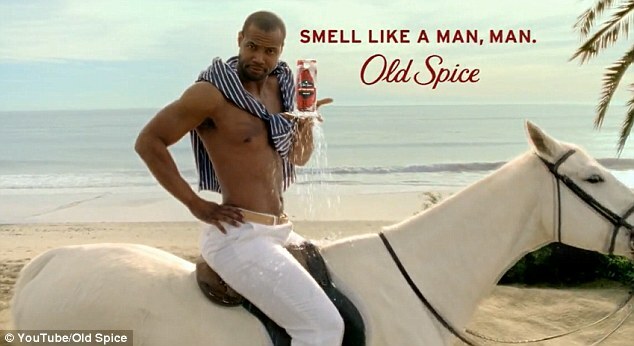 Old Spice taught marketers the importance of leaving people talking about your product. Like Old Spice, Dove was previously associated with a plain old bar of soap. They had been overshadowed by their competitors, and their brand needed life injected into their campaigns. After thorough market research, Edelman (their PR agency) discovered that only 2% of women consider themselves beautiful. This was the catalyst for their Real Beauty campaign. Women of different shapes and sizes were broadcasted across the UK with the aim of making women realise that they are beautiful, no matter what their size, with Dove’s logo plastered alongside this powerful marketing message. Dove were the first of their kind to subvert the usual body-stereotypes and use a more relatable and empowering campaign idea. They reaped the rewards from it, as their brand image was completely transformed. 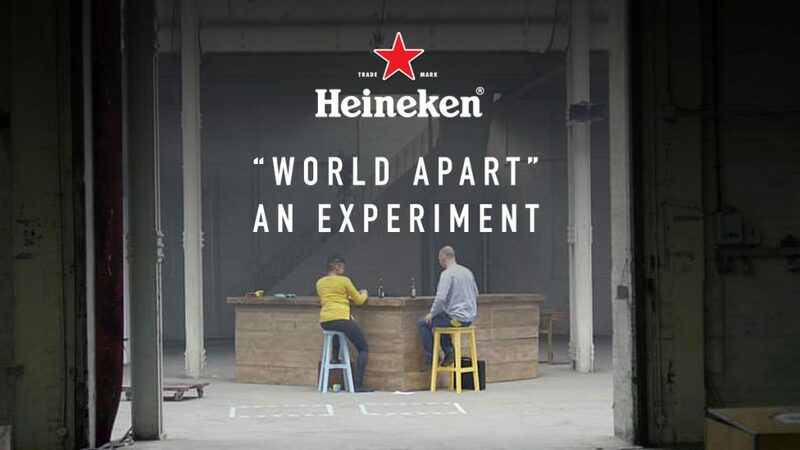 Heineken’s ‘Worlds Apart’ social experiment Facebook campaign brings up issues that people tend to be very opinionated on, such as climate change and feminism. This was a risky move, as they could have come under fire for not portraying people’s viewpoints well or perhaps capitalising on serious issues. This campaign was also released shortly after the Pepsi campaign which came under fire for making light the Black Lives Matter movement; adding more pressure on Heineken to accurately portray these issues. Luckily the risk paid off. The campaign took peoples differences and showed that strong opinions do not have to segregate us. It brought out the humanity in people with completely opposing views. The campaign was extremely successful and received over three million views in just eight days. Some may argue that putting money into an advertising campaign you aren’t completely confident in is throwing away money. However, audiences are no longer passive reading machines who can take in 300 adverts (at the minimum) per day. It’s not feasible to expect this from consumers. Lessons we can learn from brands who have transformed themselves through marketing begin with research. If enough research is done, the risks you are taking should be minimised as you’ll be more informed about your audience and market. Success isn’t going to fall into your lap, and if you don’t try, you’ll never know. If a marketing risk doesn’t pay off as well as you hoped, then it acts as a learning curve. Evaluation is just as important as execution, and mistakes are lessons. If nothing else, it shows your brand has the confidence to stand out from the crowd, portraying you as a far bolder brand than you were before. Pet Subjects know when a risk is beneficial and when it is simply not worth the benefits. This is because we carry out extensive research in the beginning, to make sure no stone is left unturned, and nothing will backfire terribly.